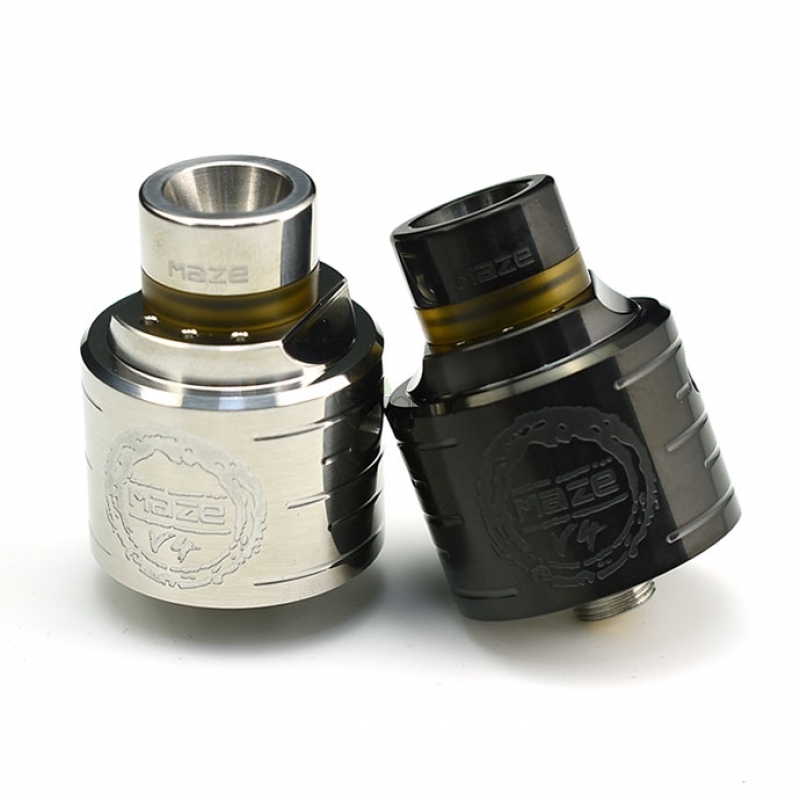 The Maze V4 RDA is a dual coil dripping atomizer that features 24mm diameter. The bottom deck is made of SS316 stainless steel and boby is made of 316 stainless steel. And rotated airway can be adjusted airflow direction.